Many of you know I had cancer and it was a cat who diagnosed me. That cat was Tigre. He was amazing! I am sad to say we lost him right before Christmas. After a long battle with gastrointestinal disease, Tigs went into renal failure. I miss him terribly. 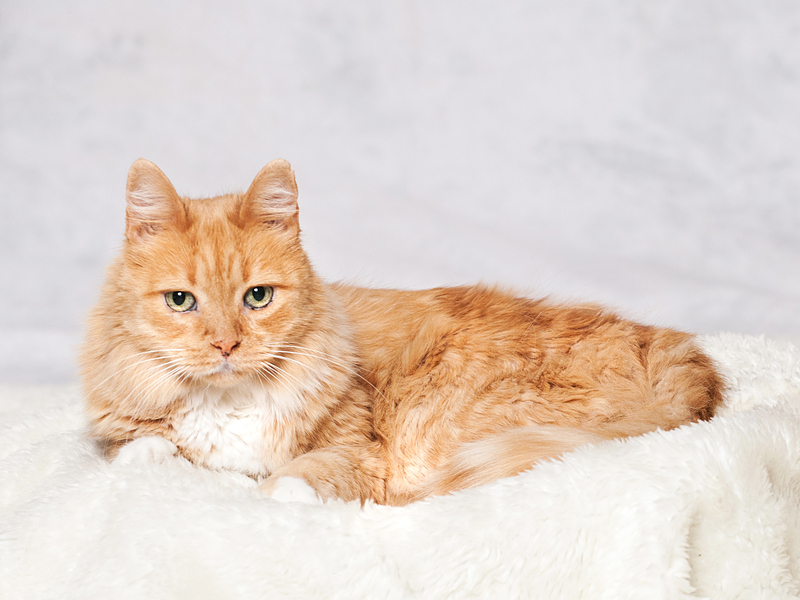 Like so many wonderful pets, Tigre arrived in our home from the Arizona Humane Society. Someone stabbed him and left him to die on the streets. When Steve and I met him at the shelter, he put on a great show. We would later come to know it was all genuine. 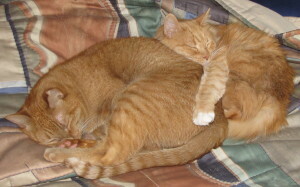 He was great friends with his fellow orange cat Kalani, but more than anything in the world – Tigre loved people. With both animals and people, he had a wonderful and loving spirit. Tigs alerted me to cancer by hissing at my abdomen followed by trying to cover it with a bed sheet. He also, never left my side during the four months of chemo. I was home every other week during that time and we were inseparable. During those moments which were particularly bad, he somehow knew. Tigre gently placed his paw on my face and purred. He was the best therapy I could have had. Truth be told, Tigre was Steve’s cat. If given a choice, Tigre always took Steve’s lap over mine. At night, he would lie on Steve’s chest purring loudly. In the morning, he would sit on the bathroom counter watching Steve shave. For me, a veterinarian, animals are so therapeutic. Of course, they each have their own gifts and bring their distinct joy into our lives, but Tigre was very special. I thank God for the gift of him in my life. He was a cat who saved a life and changed lives. I am certain there is a special place in heaven for Tigre. Rest well my friend. I look forward to embracing you again someday. Thanks for this lovely tribute. None of our rescue / semi-ferals picked up on a tumour that was diagnosed in me last year, but then they gravitate mostly to my husband who has become the main feeder since he retired!